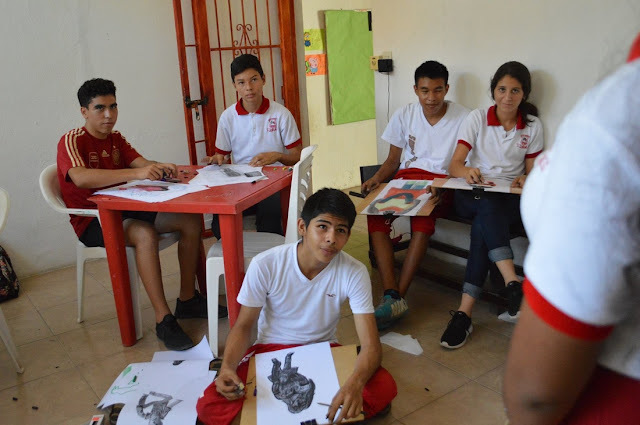 For two weeks Chacala will welcome guest artists both local and international to lead workshops and presentations; the Dinner-Expo-Auction will be held at 6 p.m. on Friday, February 3rd, at the Marina Chacala. The Chacala Cultural Foundation has issued an open invitation to participated in the ChacalArt 2017 Winter Artists Residency. The artist lineup has already been published, guaranteeing high standards all around for this year’s event. The coastal town of Chacala, located in the Riviera Nayarit tourism corridor, will welcome talented local and international artists from January 23 through February 4, 2017. During these two weeks they will enjoy the serenity of the surroundings to produce art, which they will eventually share with the community. The culmination of these fifteen days of artistic work will be on Friday, February 3rd at the Marina Chacala, when the Dinner-Expo-Auction begins at 6 p.m. on the dot. Among the confirmed participating artists is Marisa Boullosa from Mexico City, painter Don Sahli from Colorado, engraver Ireri Topete from Jalisco, Ukrainian painter Galina Bye and photographer Sherri Innes from Colorado. Check for hours, places and recovery fees for the artists plus additional details at http://www.chacalart.org/residencia-de-invierno.html. The Riviera Nayarit Convention and Visitors Bureau fully supports this and other events organized by the Chacala Cultural Foundation because of its mission of promoting culture within the community. Take a peek at the 2016 ChacalArt Fall Artists Residency here: https://www.youtube.com/watch?v=d4RR1vQm8ec&list=PLzTXcJX_EAdDl5J_KEIr-QjjlCbRevMUD. I love being able to experience contemporary art in such a tranquil setting. I look forward to also seeing the art produced at the Chacala Music and Arts Festival, March 9-12th.